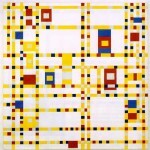 "Broadway Boogie Woogie" by Piet Mondrian (1942-1943), oil on canvas, available at The Museum of Modern Art, New York. In one way or another, each of us is a connoisseur of beauty. Elegance, economy of movement, particular combinations of color, sound, and substance, a fusion of purpose, function and action – all make an impression on us, though the impression may vary. To some, logic is beautiful; to others, a painting by Vermeer. O.J. Simpson eluding tacklers in the open field (sad to say) is beautiful, and so is Maria Callas singing “Ebben? Ne Andrò Lontana.” Beauty is everywhere; it’s just not omnipresent. One can find it in the line of a dress, in a line of poetry, in a line of prose; it may be in the faces of people we see for an instant, and it is forever in the face of Charlie Chaplin at the end of City Lights. And yet when we try to account for moments like these, words seem a poor choice for language. We talk about beauty because it matters – because whenever we stumble across it or remember how a poem or piece of music makes us feel, we think that beauty can save us. Beauty should save us, damn it. Doesn’t each of us feel that “if everyone else felt about beauty the way I do” there’d be peace in the world? Because that’s what beauty does: it instills a sense of peace; it rids us of doubts and misgivings; it is, for as long as it exists, all that exists. And it gives us hope. It gives us hope until we recall, or have George Steiner recall for us, the Nazi camp Kommandant who sent thousands of human beings to the gas chamber daily, and in the evening retired to his room, placed a record on the gramophone, and found himself transported by the opening chords of a Bach cantata. It’s hard to believe that beauty will not make us kind. But, then, what poem ever stopped a war, what rose ever put a lion off his leap? The problem with language—to tweak a lyric of Noël Coward‘s—is that too often the wrong people use it. Those who programmatically explain beauty or demonstrate where it has gone wrong never manage to get it right. Beauty is elusive; it has to be. The reason, of course, lies with consciousness itself, with that old bugbear “dualism” that never hibernates for very long and that, sooner or later, undermines the quest for absolute knowledge. Nonetheless, one can believe in meaning without necessarily believing that life has any. I don’t offer this as a paradox but as the limitation of a mind that hasn’t accepted the possibility of a soul. 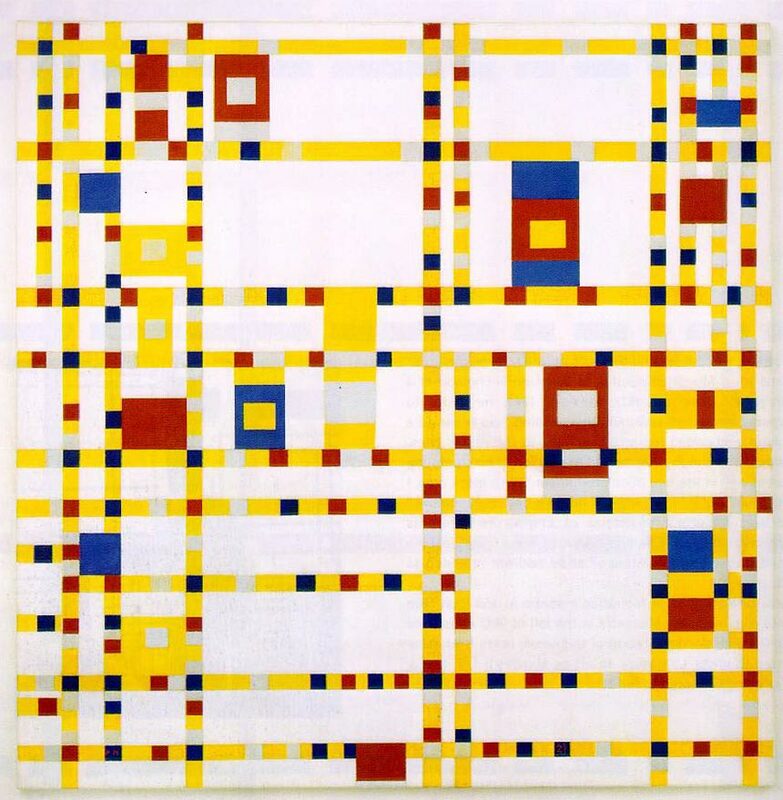 To such a mind, which resists systematic conceptions of the cosmos, a chance phrase may sometimes encapsulate a view of the world that seems if not absolutely right then the best that we can do: “Man is hungry for beauty. There is a void.” The phrase is Oscar Wilde‘s, and it’s one we might easily pass over. It is not witty. It is not novel. It’s not even informative. Actually, it’s rather simplistic. What does it tell us that we don’t already know? “Man is hungry for beauty. There is a void.” Nine words. Take a moment. Say them aloud. What else is there to be said? — Arthur Krystal in his essay “Hello, Beautiful: What we talk about when we talk about beauty” in Harper’s Magazine, (New York: Harper’s Magazine Foundation, September 2005), pp. 86-94. Posted on behalf of Arthur Krystal, Wallace Stevens and Oscar Wilde on Saturday, February 27th, 2010 under Quotations. This one needs a warning label, and my action to establish tomorrow’s quotation in a way that helps avert confusion and hurt. For me, a declaration that I will occasionally post quotations that I don’t agree with. Otherwise things would probably get out of balance. I did not do that intentionally with this quotation, this was more an accident I’ll work to amend. Meaning I thought I agreed with it this morning, but I read it through tonight and it’s all wrong. So, some kind of warning or flag – and I reserve the right for us to move that flag if we want to. I will work on that. BTW, Amina Wolfe nice to meet you, thank you for intervening. I wish I had seen your post earlier and been able to move it into public view faster. Please stick around and tell us what you think about the other stuff. Nice to meet you too, although we met in a deeper sense of the word last night when I attended Life Extraordinary as a guest of John L’s. Looking forward to more entersection.